How Does the Scrap Metal Drive-in Work? At Singletons, we offer a scrap metal drive-in service. 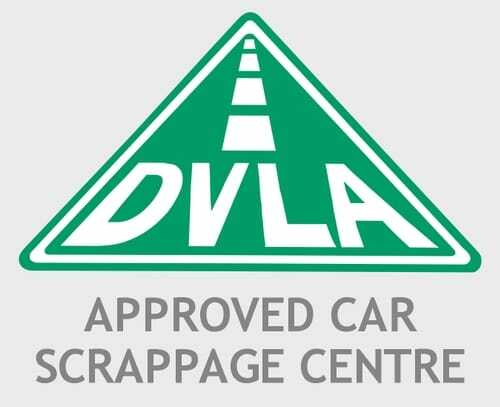 That means you can roll up in a car or van full of scrap, leave it with us, and get paid for it! Sounds too good to be true, right? Well, it’s not – and it’s actually even better than it sounds. We make everything as easy as possible for you to bring us your scrap. There’s no need to divide up your scrap metal into separate piles when you bring it to us – one box for steel, one for copper, and so on. You can if you like, off course. But we sort, weigh and test everything for you, so you can drop off scrap from your home even if you’re not really sure what you’ve got. Anything that can’t be recycled will be safely disposed of – we won’t ask you to take anything away with you. However, if you’d like to know a bit more about the most valuable kinds of scrap, and what you should be looking out for in the attic or garage, we’ve written a guide to earning money from scrap. It’s against the law for scrap metal merchants like us to pay cash for scrap metal. But to ensure people are getting paid promptly, fairly and conveniently, we offer on-the-spot electronic payments for all scrap metal. If you’d like to know more about the laws around scrap metal trading – what you can and can’t collect, and who you can and can’t sell it to – then take a look at our blog on selling scrap metal legally. Plumbers and electricians – bring us your scrap! Or any tradespeople, really – we’re not picky. The scrap drive-in is open to van-loads from builders, roofers, handymen, mechanics… essentially, anyone who has scrap metal piling up from jobs, and is looking for a convenient way to shift it. We’ve put together some advice for tradespeople selling scrap metal – from what you can and can’t sell, to when you should be paying tax. We should mention that it’s important to be careful when handling scrap metal. If you’re not used to working with it, be aware that it can obviously be sharp, or heavy, or both. Wearing gloves is absolutely essential, and remember to bend at the knees when lifting! We’ve written a blog on safe handling of scrap metal with some extra tips. It’s mostly aimed at people who are doing more than a trip to the scrap yard, but we’ve included some guidance on how to cut scrap metal, which will be useful if you have anything that’s too big to lift and could do with breaking down. We’re pretty easy to find, in the east of Manchester between Ardwick and Openshaw, just off the A635. It’s about five minutes from the Etihad stadium. We’re open from 8am to 5pm Monday to Friday, and 8am to noon on Saturdays. If you have any more questions before you pop by and see us, then please don’t hesitate to get in touch! We’ll be more than happy to help.